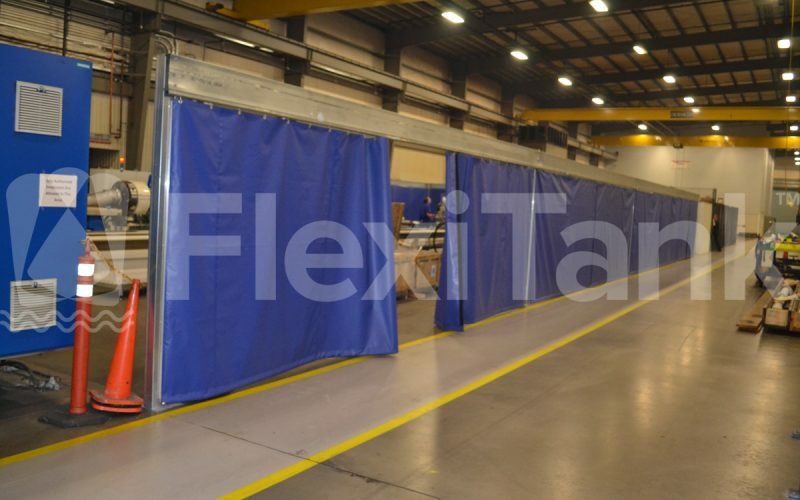 Flexitank heavy duty industrial warehouse curtains are flexible walls that are a simple and effective solution to creating retractable barriers for protecting work areas and significantly reducing hazards in the work place. 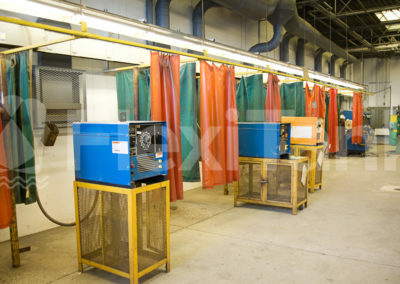 Isolate work areas from surrounding contaminants. 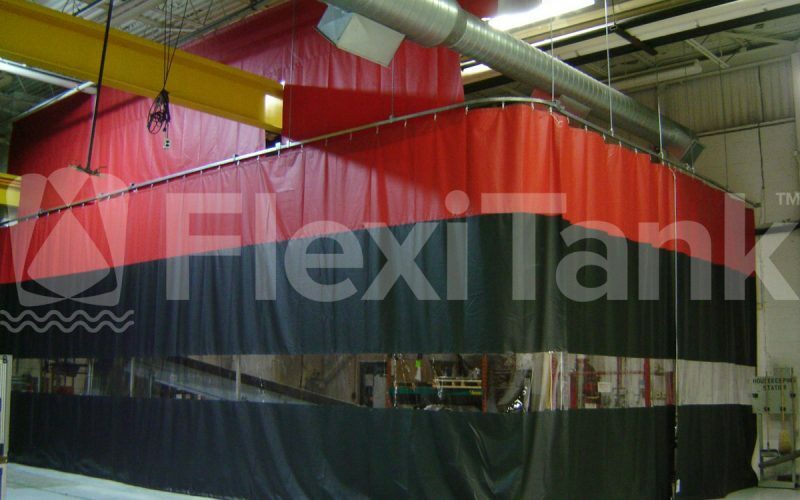 Any Flexitank industrial warehouse curtain can be manufactured to most company colours and can include logos or advertising emblems upon request. 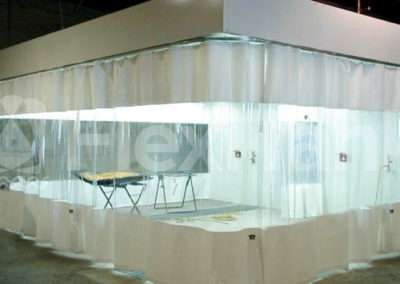 Customising your wall curtain means you can give your work areas are professional look to areas that are visible to customers. 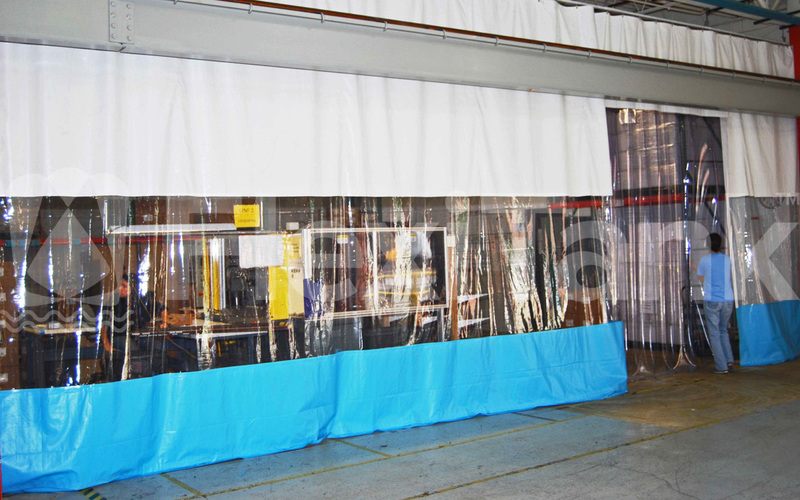 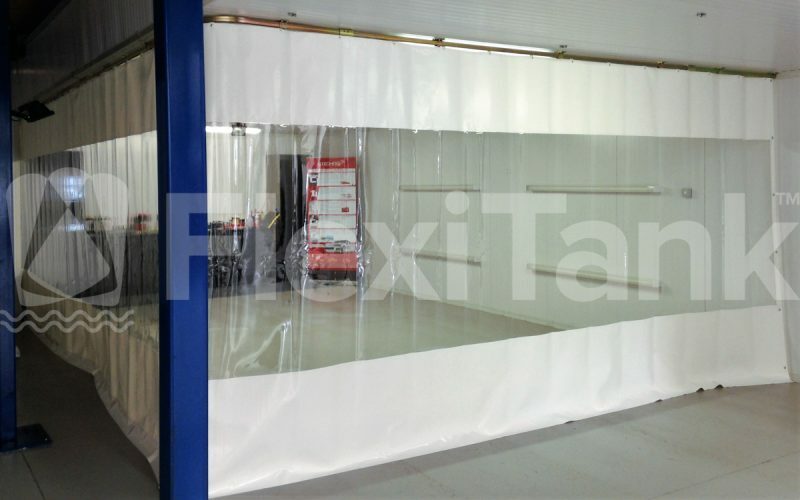 This helps every customer identify you easily, and adds peace of mind with added safety to any working area where a Flexitank industrial warehouse curtain is installed. 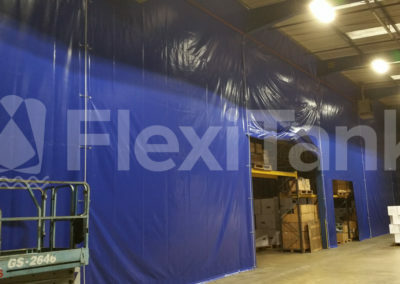 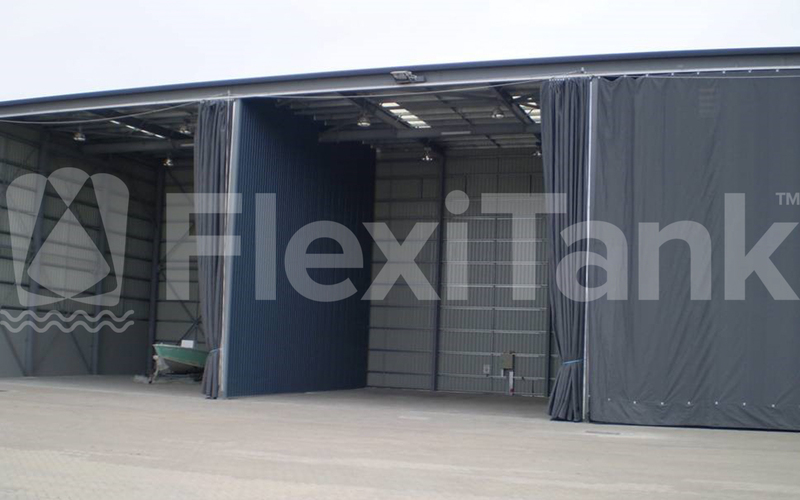 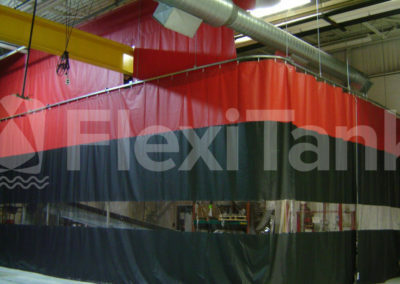 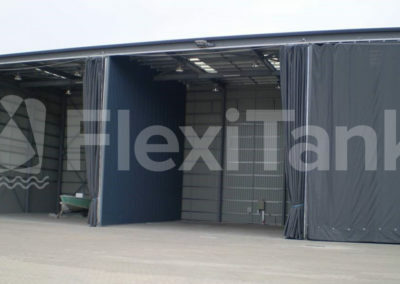 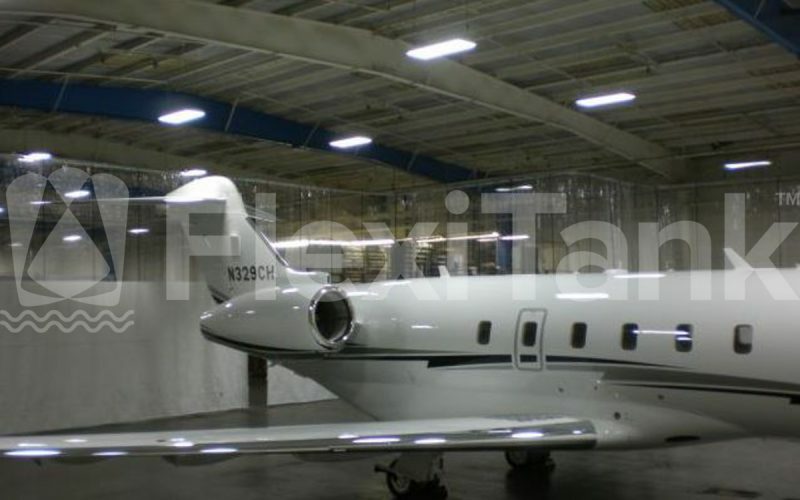 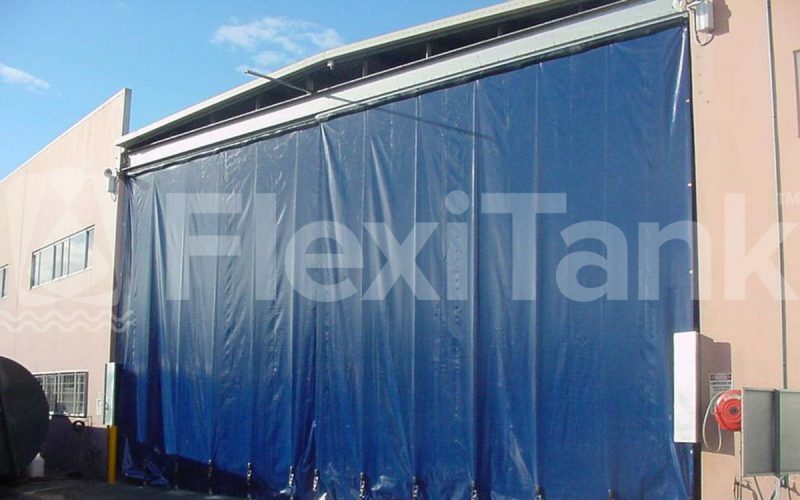 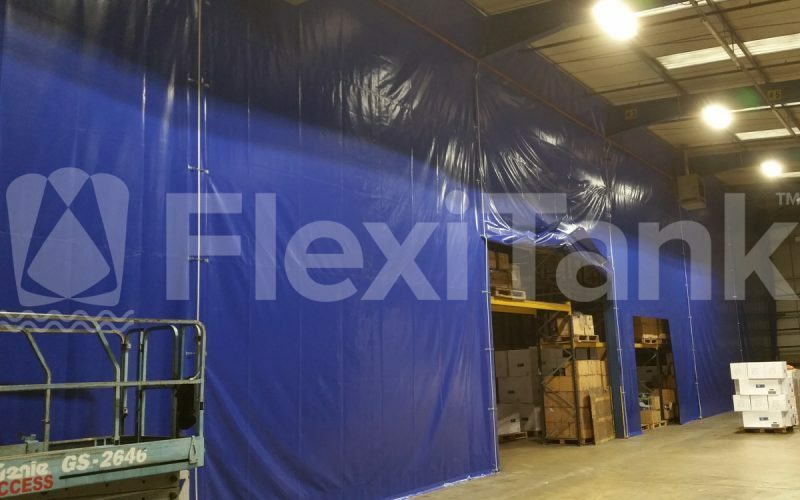 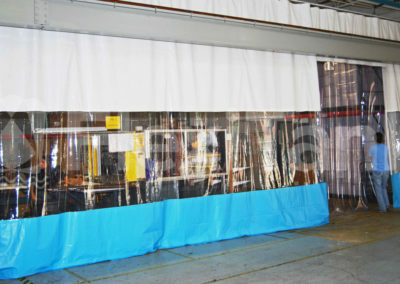 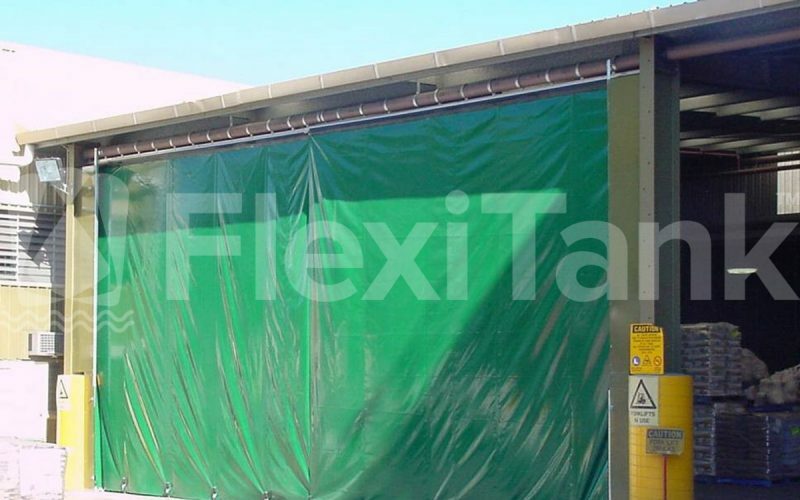 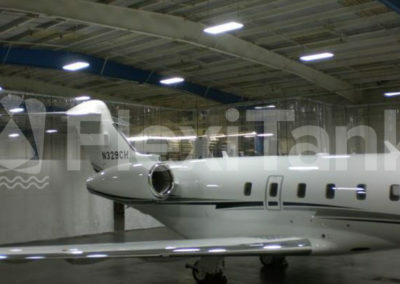 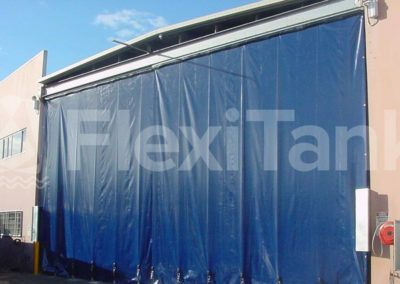 A Flexitank industrial warehouse curtain is highly effective and economical way to confine operations often performed within aircraft hangars. 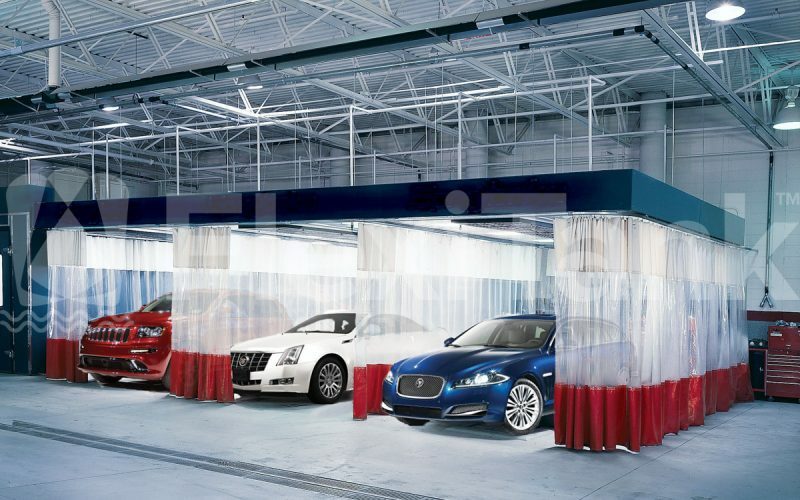 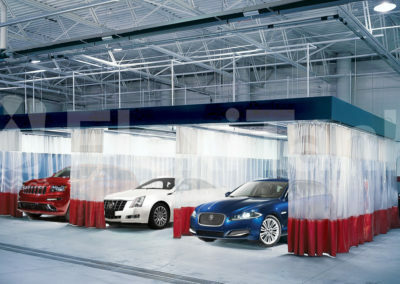 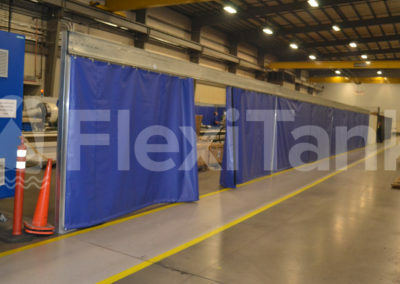 Flexitank Industrial Curtains are a viable alternative to installing expensive prefabricated maintenance completion booths, which are expensive to build and difficult to move. 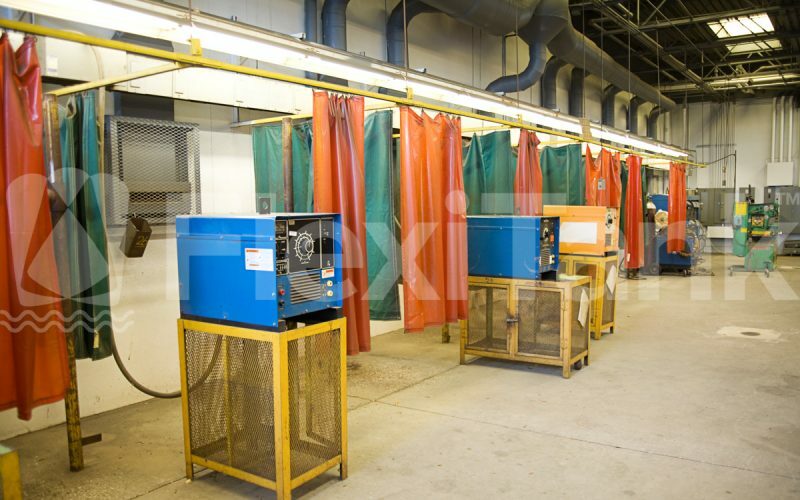 For applications where power washing of vehicles, equipment or industrial materials takes place. 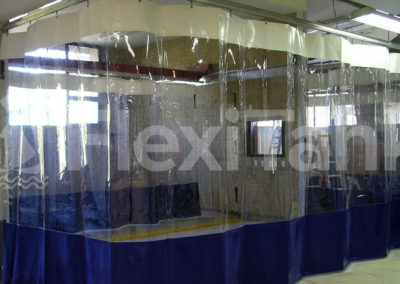 Designed to contain water overspray and the dust and dirt from wash downs. 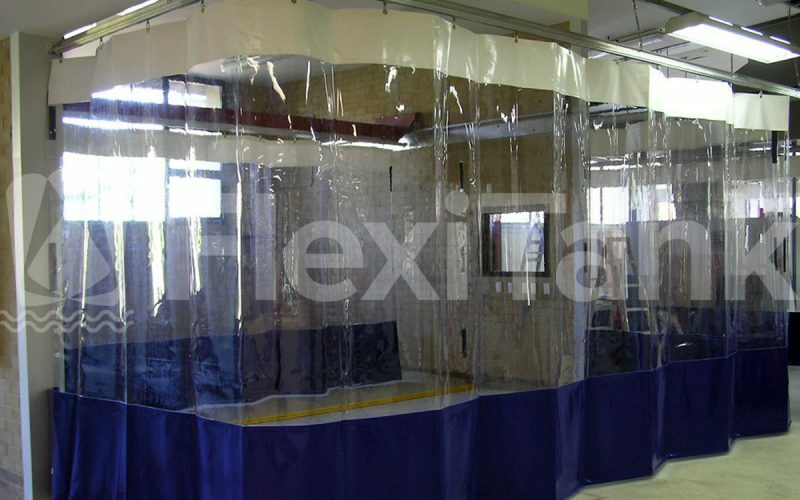 An ideal solution where 1, 2, 3 or 4 sided enclosures are required. 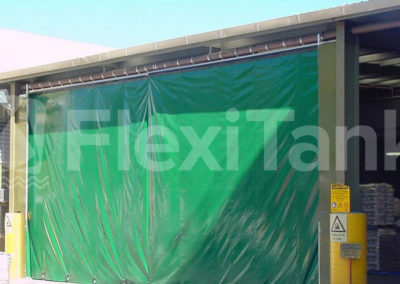 Can also be combined with a portable spill bund. 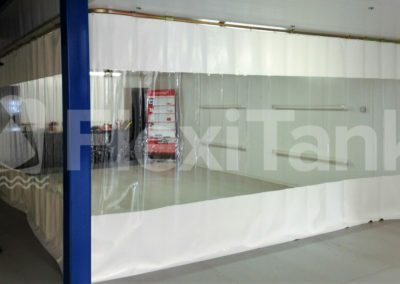 A clear PVC curtain can also be used provide 100% visibility. 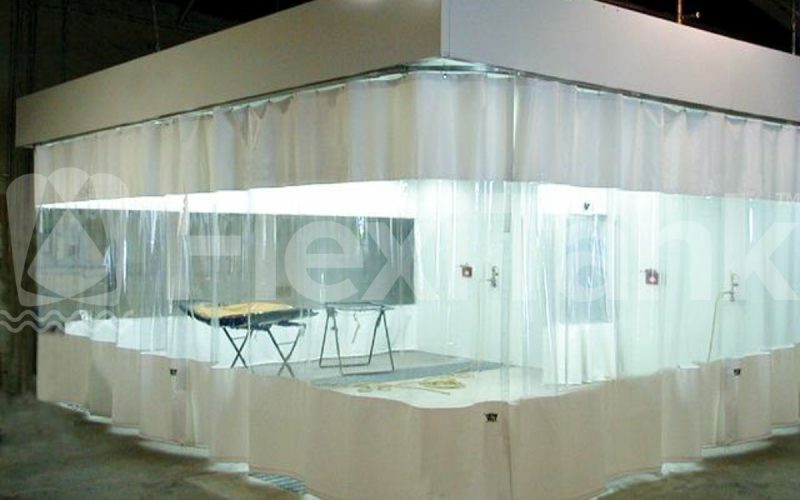 Add your logo or advertising and create a very professional look.